Life happened, and now as a tenant you want to get out of a lease. It’s important to remember that your lease is a legally binding document. Most landlords will enforce the lease and the state law. 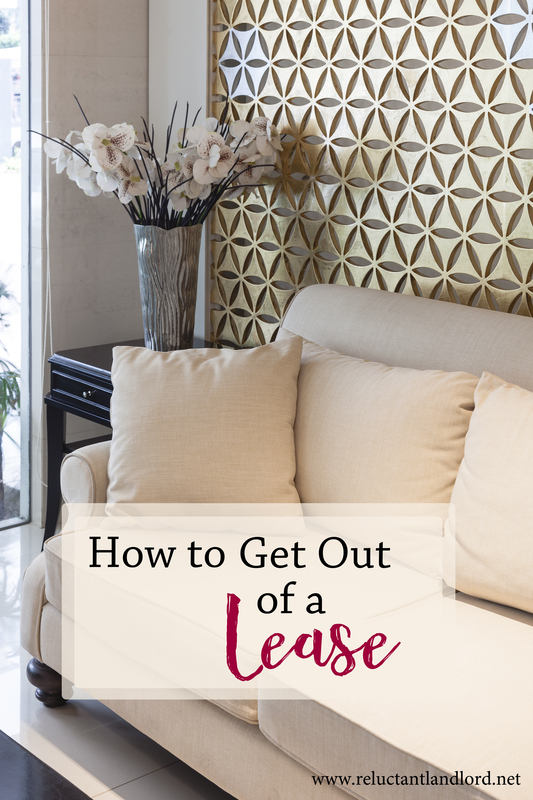 There are two steps you need to know to learn how to get out of a lease. First, evaluate your options based on the lease and state law. To evaluate your options the first thing you will need to do is read your lease and pull up your local state laws (you can short cut to your local laws here). Sublease Language – Subleasing means you are allowed to find another tenant to take over your lease. Usually that would mean you are responsible for advertising, finding the tenant, and submitting their name to the landlord for qualification. If they qualify, they would continue on as you would. Many leases including my lease have language relating to whether or not subleasing is allowed. To get started, you should read this section. If subleasing is allowed they usually will outline what the requirements would be. Break Lease – Many landlords including myself have a clause outlining the tenants requirements if a lease needs to be broke. As described in my break lease article, my lease requires a two-month notice and a two-month’s rent fee. What if subleases aren’t allowed and there is no break lease clause provided? 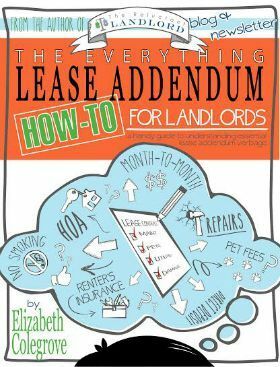 If your landlord doesn’t allow subleasing and you can’t find a break lease clause, you need to check your state laws. Some states provide exact provisions on how to break the lease, but other states do not. If your state doesn’t provide any information on this topic, you are required to pay your rent until your landlord can replace you as a tenant. They are allowed to charge you whatever costs they have in trying to find a new tenant. For instance, if they have to hire a property manager, you would have to pay the placement fee. The downside to this is you would have to pay the rent until the landlord finds another qualified tenant. Once you know your legal requirements both under your lease and the law, the next step is to have the conversation with your landlord. Personally, as a landlord, I prefer it when you are open, honest, and acknowledge your responsibilities from the beginning. No matter what approach you take depending on your options, my advice is to make it as pleasant an experience as possible for both sides. I recommend taking responsibility for breaking the lease. As a landlord, nothing irks me more than when a tenant who wants to break their lease puts the burden on me. Personally as a landlord, I have no desire for you to break the lease whether I have a break lease fee or not. What has been your experience when breaking a lease?